Procter & Gamble (NYSE: PG) is in the news for a clumsy effort at theft. Why would a highly respected $80 billion dollar global firm risk their stature, destroy trust, and become a business world laughingstock? Maybe they were greedy. Maybe their ethics are poor... They watch big banks & finance firms doing scum deals and corner-cutting, maybe they want part of it. 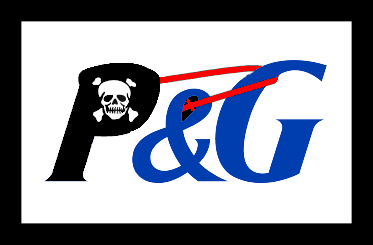 Maybe P&G became decrepit & senile. Founded in 1837, they've a trusted place in many homes around the world with their great consumer products. But with one big lie, we begin to doubt their advertisements and product labels. This story stems from a World Intellectual Property Organization (WIPO) finding of "reverse domain name hijacking" against P&G. P&G wanted the internet domain name swash.com but were unwilling to pay much for it. When P&G offered $600, the owners asked for $30,000. Instead of negotiating, P&G filed a complaint with WIPO seeking to take the domain name forcibly. They claimed the owner (Marchex Sales LLC) had no legitimate interest in the name, and had registered the name to deliberately infringe on a P&G trademark (swash). Such assertions are often difficult to adjudicate. One problem is the same word(s) can be trademarked in assorted classifications and different geographic regions. "Swash" for example was registered in the USA by Arion International in classification 5 ("Pharmaceutical preparations used for washing and cleansing of patients; sanitary preparations for medical use" - Registration #3095805 May 23rd, 2006; first filed August 31st, 2004; first use in Commerce December 31st, 1969). P&G filed on September 20th, 2011 in class 7 ("An appliance for domestic use, for the purpose of removing wrinkles and odors from clothing and linen"). Others have trademarks in different classifications and in other nations. Swash is a generic word, included in most large English-language dictionaries. The domain swash.com was first registered March 2nd, 2000, and acquired by Marchex over eight (8) years ago. Anyhow, P&G claimed to WIPO (link) that SWASH was a longstanding worldwide brand, that P&G owned rights stretching back to 1993 with multi-million dollar sales; and that over the last 4 years alone the brand had gained sales of over USD 40,000,000. When these details were challenged, P&G as complainant was forced to admit the brand was only used in the USA, used there for 4 years total, and sales were actually below USD 60,000. This is relevant not simply because of misstatements (lying), but because the guts of the case hinged on P&G proving they had a major brand position prior to domain registration. They did not, and they were labeled "reverse domain name hijackers." -- But they were treated kindly: more than five months went by before the decision was finalized. John Berryhill, lawyer for the Respondents (Marchex) noted: "the panel had a hard time believing that P&G lied about several things in the complaint, and gave them a second chance to explain themselves – which P&G did poorly. So, the panel is stuck with having to figure out what to do when a prominent brand owner attempts to reverse hijack a domain name." In the words of the WIPO panel, this was "a grotesquely unfair attempt to wrest ownership of the disputed domain name from the owner" and that P&G "abused the process in an attempt at reverse domain name hijacking in contravention of the UDRP Rules" with their complaint. Such blunt slapdown of a beloved mega-corporation! Surely bad publicity for P&G.